After the holidays and maybe indulging on one too many cookies, motivation to get started can be the toughest obstacle to overcome. No worries, we’re here to help! 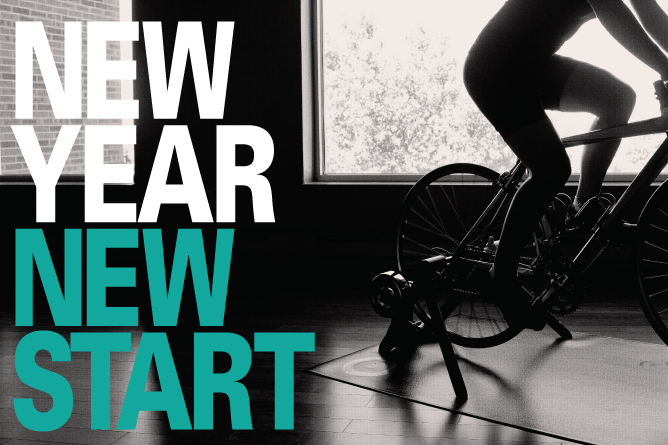 Now is the time to pump up your fitness routine! Just because there’s rain or snow fall, doesn’t mean you have to give up riding for the season. When first getting started with a new fitness routine, it’s easy to become overwhelmed with all the gadgets and various training options. What’s most important is to first decide what your goals are for this year. Whether it be just to get healthy, to lose a few pounds, to set a personal best time, or to complete your first race, having an ultimate goal in sight is what will help keep you going. Once you have a goal, assess where you struggle and where you are strong in that area. As an example, if you’re goal is to train for a race, like the Leadville 100, it’s important to remember that climbing intensity, nutrition, body composition and skill components are significant to your success. Next, look at your weekly schedule and decide where training fits in each day. Once you know the time you have, you can schedule focused hard workouts after days off and longer workouts on the days after hard days. This pattern of hard-easy-off allows for 2-3 quality weekly workouts. 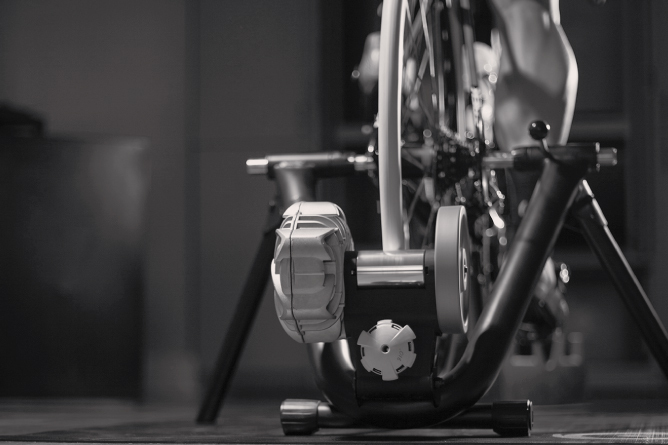 Although it may not be as exciting as finding a new road to travel or rollin’ through the mud, indoor cycling can provide a different kind of training. So pop in a marathon of your favorite show, hop on your trainer and let the sweat drip, all from the comfort of your living room. Using trainer technology from companies such as Cyclops, lets you simulate the wattage from an actual route and some even add video to the route profiles. Sticking to your plan and riding consistently may not be the most ideal way to spend a free hour or two, but it can be a highly effective training method and produce amazing results when done properly. While it is tempting to stay warm and only pedal indoors during the winter months, make sure to add variety to your fitness routine. There are many winter activities that aid to your cycling training, such as cross-country skiing, snowshoeing, ‘fat’ winter biking and running. Adding variation to your fitness routine helps avoid plateaus and staleness, ultimately helping you achieve your goal. Strength training is also important as a means of movement and training variety. While there are many studies showing direct benefit to cycling performance the biggest benefit is learning to move well to avoid injury in everyday tasks. Strength-training also helps build strong bones and lean muscle mass for overall health and healthy aging. Regardless of the extent of your training objectives, there are many ways you can come into the summer with strong fitness and continuing to move steadily toward your goal. Time to get started!